Faithful to Science is a book written by a professor of physics at Oxford University who is also a devout Christian. The aim of this book, as the author describes it in the introduction, is to show that scientific study of the natural world and mainstream theistic belief are at ease with each other. It is a main contention of the book that the question of the conflict between science and religion is ill-posed because, properly understood, theism incorporates science since it too, just like science, requires people to seek the truth and to think critically. In order to go about showing why this is so, Steane embarks on showing what theism is and how it offers an explanation of the world and life of which science is a part. The book has two sections. The first part is entitled “Science and Nature”, and covers what science is, what its limits are and what theism is (or should be, according to Steane) and the role they play in the author’s life. In the second part, entitled “Origins”, Steane gives us his views on creation, the interpretation of the Book of Genesis and evolution. There is a lot to commend in this book. It is often very difficult to settle questions about theism because there are many different things that people mean by it. So it is important that Steane takes time to show what he takes theism to be and to carefully distinguish it from traditional, mainstream and fundamentalist Christian religious belief and from the way that certain strands of militant atheism characterize it. Steane describes himself as a follower of Jesus of Nazareth (purposely avoiding to be specific about what that amounts to) and puts forward a very nuanced and profound version of theism. To begin with, Steane’s conception of God is not the usual one. We are told that God is not a powerful super-being or the omnipotent creator that he is often described as. Rather, Steane understands God to be the necessary foundation that underpins all of reality, and though God cannot be described through language (except maybe, possibly, by the word “Love”), God can be known in a personal way and lived for and part of living for and loving this God involves doing science as best you can. Steane also takes time to explain the concept of “faith”. In a somewhat Kierkegaardian manner, Steane talks of faith not in terms of a blind accepting of propositions but as an attitude of trust, loyalty and willingness to engage with a way of thought and action. He compares it to interpersonal faith between lovers; there is no certainty, but there is a willingness to explore and, even possibly, be shown to be a fool. In this sense, faith seems to be something like the openness required to take the leap into theism which in turn is understood as a way of living and a framework through which to make sense of the world and life in general. The idea that religious commitment is a way of living and understanding the world is not a new one. Some philosophers have seen religion as a commitment to what Wittgenstein called a “form of life” that has its own internal rules, e.g. about what one ought to believe. The interesting aspect of Steane’s approach, and what distinguishes him from such views, is that though he sees theism as an expression of commitment to a form of life, he does not contrast it to science, but claims that theistic belief is a way of living that provides one with a comprehensive world view that includes science as part of a correct, reasonable, faith. In explaining how this is so Steane also offers a sober and well-informed discussion of science and its limits and argues extensively against scientism, the view that genuine knowledge can only come from science and that the real is only what science says is real. Though he clearly believes that a scientific attitude that requires careful and critical thought can show why fundamentalist and anti-science religious positions are flawed, he argues that it cannot do the same for a more profound, holistic and abstract religious commitment that gives meaning to people’s lives is flawed. Science, according to Steane, involves systematic analysis of phenomena with the aim of finding out how physical structures influence one another. As such, many things are out of its reach and it is not all embracing as it is sometimes made out to be. Not only questions concerning the source of the underlying order that science reveals, but also questions of value and ethics are beyond the scope of science. Though Steane grants that science has something to say about everything, for instance it can give (or can hope to someday give) an evolutionary account of our sense of morality, he questions how far mechanistic/reductive explanations can go. In the process of so doing he criticizes what Dennett calls “greedy reductionism” – the attempt, that is, to reductively explain too much, too fast and with too little information – and gives examples of what he calls neuro-nonsense, the drawing of unjustified conclusions from the findings of neuroscience. This is important in the context of this debate and shows that, though Steane doesn’t explicitly take on the New Atheist’s arguments against religious belief, his book is not only an attempt to distance theism from how it is often understood by the average Christian and by some extreme Christian communities, but also an attempt to implicitly address arguments against religion sometimes offered by science thumping atheists. Despite the many good points the book makes however, there are a number of things that I find problematic about Steane’s account. In what follows I will focus on the ones related to the main contention in question in the book, which is that science falls within a theistic perspective. The first problem is that despite the profoundness and the many plausible aspects of Steane’s interpretation of theism, we are given no reason to accept it as the right interpretation. Steane’s view is quite technical, very much like a theologian’s interpretation, and is obviously the result of years of careful studying. As such, it is very different from the way many Christians understand their faith and also very different from the way atheists that are critical of religious belief often interpret Christian belief. This does not mean that Steane’s interpretation is wrong or that giving an alternative interpretation is not a good thing, but it does mean that such an interpretation needs a defense. We need to be given a reason why this is so especially since Steane often calls his version of theism the right kind of theism and insists that even if it is not the way that it is usually understood, it is the way it should be understood. The only reason that seems to be implied in the book is that it is an interpretation that, according to Steane, can incorporate the findings of science and a scientific and critical attitude. But that seems like an ad hoc move on Steane’s part. What’s more, by putting forward such an interpretation while also being quite dismissive about other ways that theism is understood, the book runs the risk of compromising its possible impact on audiences that do not share his views, like theists of other persuasions and atheists – that is, the two groups that could be the book’s main audience. A second problem I have with the book is that even if this is the right interpretation of theism, the argument that it is at ease with a scientific outlook is not convincing. Steane is definitely right that science is often driven by gut instinct and that there is an element of risk taking in the context of discovery in science. He is also right in pointing out that science has its share of brute facts- facts that do not have an explanation- and that there are things that we take to be true in science without having scientific proof for them, sometimes as organizing principles, sometimes as rules of thumb, sometimes as working models. But at least one thing in which science and religion differ is the extent to which they are willing to accept things without an explanation. Science tries to limit the number of brute facts it has to accept and where these brute facts lie and tries to make knowledge as secure as possible. In religion, on the other hand, the faithful are willing to accept the inexplicable and associate it with the divine thus imbuing it with value and meaning. Though it is true that metaphors are used in science it is in the background of evidentialism, the thesis that we should hold a belief only to the extent that it is justified by evidence or, more practically, that we should accept a hypothesis as an explanation of a phenomenon only if we have adequate evidence for it. Whereas religion starts with a commitment to myths and parables that see meaning where explanations cannot be given. In this sense Steane is right that the theist, unlike the atheist, accepts that the foundation of all reality can be encountered in personal terms, because it seems that the meaning that the religious see in the world comes from a personal sense of knowing and feeling that something is right. Steane understands being religious to mean being “truth seeking, open to being required to change, aware of one’s faults, willing to acknowledge the claims of the ultimate reality called God, understanding that God should be thought of as One Who exceeds personhood”. But is not clear why the last two of these requirements are compatible with having a scientific attitude. 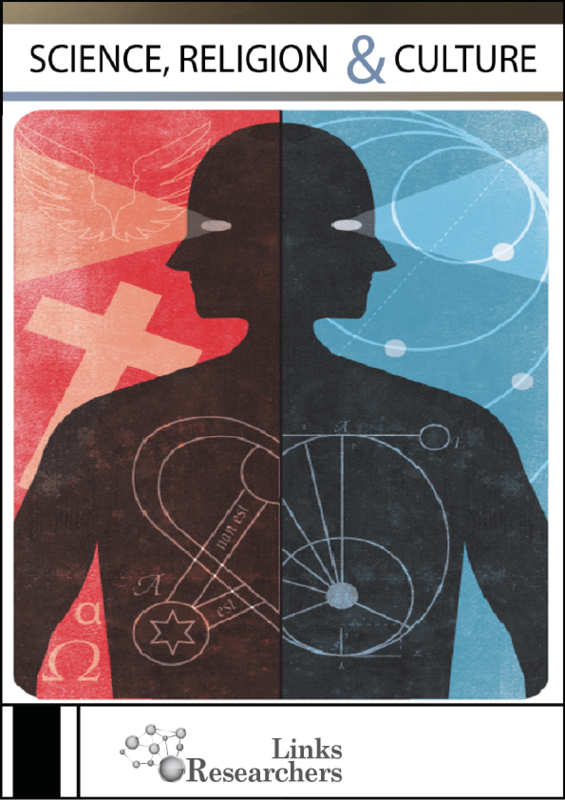 The tension with science becomes apparent when certain empirical claims are made by religions. Of course, there are many ways to be religious and many ways to be a Christian. Some Christians are fundamentalist and take the writing of the scriptures literally, others are traditional and interpret the scriptures as parables that reveal a deeper truth about values they share, and others still, especially nowadays that many people are disappointed with organized religion, believe in a very indefinite way with only a general commitment to a creator God who may, or may not, intervene in the world. Still, when it comes to Christianity there seem to be some core doctrines that one must accept in order to be a Christian, a central one being that Christ was resurrected. And it is difficult to make such claims compatible with the evidentialism required by science. Though Steane resists this view throughout the book and insists that there is evidence (at times he turns to the term “suggestions”) for theism and the empirical claims it makes, he never produces it. Rather, throughout the book we are told that it is difficult to explain, or to make someone see the truth of theism, if one has not already taken the leap of faith. In different points in the book we are told that as long as theism sounds like a theory that may not be true it has not been grasped, that one has to be careful in order to find what one already has reasons to recognise, that once we decide that theism is right we do not need proof any more, and, when talking about his interpretation of the story of the Garden of Eden, Steane says that if the reader can’t detect what he is describing he can’t show it to her. But by putting it this way Steane seems to grant what he wants to deny. That is, if theism involves a decision that gives you privileged access to a level of reality that the uninitiated do not have access to and that it all makes sense only if connected to a larger meaning that you have already accepted, then this makes it sound like religion is a different kind of endeavour from the scientific one, in which the standards of explicability, proof and evidence are not central as they are in science. That is not to say that one cannot be a scientist and a theist, but it is to say that, for different aspects of the world, one employs different standards. In fact, Steane also offers as evidence for his argument for the compatibility of science and religion the fact that many scientists are theists, as were many very famous scientists of the past. However that is not enough to prove his point. Prinz (2013) has recently put forward the view that we are drawn to science and to religion because of the emotion of wonder that we feel when we confront the world in all its complexity and beauty. This emotion then leads to the pursuit of understanding of the world through three different – and distinctively human - kinds of exploration and explanations: science, religion and art. If something like this is right, and I suspect that part of what draws us to pursue knowledge and especially knowledge for its own sake is, indeed, a sense of marvel towards the world we find ourselves part of, that can be part of an explanation - along with other historical, sociological and autobiographical considerations - why some scientists were and are theists (and also why some atheists describe themselves as non-religiously spiritual). The emotional impetus behind one’s scientific explorations can also push one to accept the religious point of view when it comes to things that go beyond science, or to things that are required by one’s religious commitments. But this doesn’t necessarily mean the two are compatible. Though science and religion share more things in common than we usually like to admit, the way they engage us in intellectual pursuit of the unknown is very different. Science has a rigorous set of evidential standards whereas religion devises stories that give meaning to the unknown and, through that, to people’s lives. Of course, one can also make the point that, when it comes to the totality of people’s beliefs, people do not necessarily, or usually, hold consistent beliefs. But what is more important in this context is the role that religion plays in people lives. Though I said above that there are some empirical claims that being a Christian commits one to, the role of religion is not to evaluate hypotheses based on evidence – as Steane himself says at one point, explanation is not the purpose of life. The role of religion is to give the world, and people’s lives, a meaning. So I don’t think that Steane is right when he claims towards the end of the book that surprise at the idea that science and religion work together comes from the assumption that faith involves being irrational. One can very well grant that faith is not irrational but also see that when it comes to things that are essential to one’s faith, the standards by which to evaluate evidence are different from the ones allowed in science. As Steane himself explains, faith requires trust in something more, something bigger than what the physical sciences can reveal. And having accepted that, one is willing to accept ineffable evidence for the presence of God – that is, evidence that would not be accepted by the standards of science. In this sense, consistency across the board in standards of evidence is not a requirement for a believer, though compliance with evidentialist standards can very well be a requirement for a theist when he does science in the background of having already accepted that God is present in everything and everyone. In a sense, then, Steane is right; one can be a theist and a scientist and so science and religion can be made to work together. But that doesn’t mean that science and religion fall within the same domain. They are two very different ways of understanding the world that, at certain points, clash. And though the theist can live with this drawing from his personal knowledge of God, such an option is not available to a non-theist scientist (who can still, however, address different types of question by other means available to her that do not clash with science). In conclusion, one can grant many things to Steane, like a more nuanced understanding of faith than just a blind accepting of propositions, the importance of love, the wisdom of the teachings of Jesus (whoever he might have been), the parabolic nature of the scriptures and the fact that there is more to the world than what science can address. But the truth of theism does not follow from these, nor does the claim that science and theism are compatible. Still, this book is a valiant attempt to defend theism in the midst of a very hostile environment and it makes valuable points both concerning science and concerning faith. It is a book that has a lot to offer to readers interested in theology, in the relation between science and religion and to Christians of all kinds.